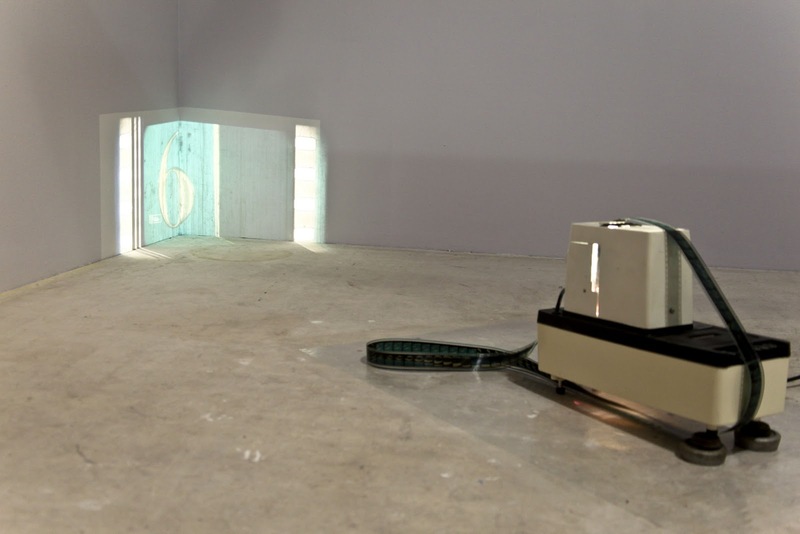 Peering Sideways consists of three new exhibitions running concurrently at PSL. The title suggests at once that the viewer is encouraged, through the prism of the artists’ vision, to look askance at the familiar and hints at the artist-peers taking part in the show, which aims to examine the idea of collectivity. Here, collectivity is to be found through collaborative practice, affiliation through studio membership, the formation of artists’ groups or the artist-peers choosing other with which to exhibit their work in a group format. The project brings together artists’ groups from across the UK (London, Manchester, Wakefield). The three constitutive exhibitions titled Welcome to the Real World, Sorry for the Inconvenience, and, Other People’s Problem. Welcome to the Real World consists of work by artist-members of The Art House in Wakefield. Here, the intention, in bringing these individuals together, is that the viewer questions how networks shape our perception of the real world. The work conveying and compounding this sense with the greatest universality is Marion Michell’s five-part exhibit, titled individually: (i) Edith’s Shoes; (ii) Changeling; (iii) Gym Turtle; (iv) One and one walked hand in hand; (v) Not filth, not hairs. Materials and textiles are used here - tissue paper, crocheted fibres, crocheted cotton, crocheted wool-silk – fashioned and woven into articles, mainly clothing, which are highly evocative of childhood. The viewer is encouraged to consider difference and how it might be experienced with the emphasis on the way in which a child might not feel ‘right’. This is achieved, for example, in the choice of colour of the materials used – they are not the bright and cheerful primary and secondary colours one associates with the accoutrements of the child of today, but dull browns and greens and off-whites. In the woven items of clothing there is something viscerally irksome in the evocation of a certain melancholic nostalgia to be found in the contrast between the relative largeness of the weave itself and the smallness of the garment. As mementos of innocence, the pieces do not celebrate innocence in the way, as one observes, a parent or guardian might instinctively do with joy, but they speak of the desire, pleasure and pain of the innocent. Such is evoked with great delicacy and is self-evident in the works, taken together, without explanation. Other People’s Problem’s features peers from the MA course at Goldsmiths, University of London. The artists here engage with macro issues effecting a populous socially and politically with work that is polemical in nature. The Future of things Past, by Sophie Carapetian, is a large-scale, two-dimensional work. Somewhat reminiscent of newsprint in the use of black and white, the piece communicates a sense of ordered chaos in the fairly regularly positioned repetitions of the face of Karl Marx among other objects. Marx’s face is sometimes distorted, sometimes not. The regular (though not strict) positioning of Marx’s face causes one to reflect on the pervasive nature of his influence in every corner of the world. That the piece is in black and white and, perhaps, reminiscent of newsprint suggests contemporaneity and invokes the recent social disorder in the cities of the UK. If the work is a link between the future and the past through Marx, one considers whether the distortions of his face are a reflection of the rampant individualism and apparent materialism detectable within the recent disorder. Perhaps it is a reflection of the fact that ideologies can be distorted. Or is the repeated appearance of Marx an emphatic declamation of the need for collective action on global pressures, resonating with the common idea of collectivity that runs through the entire exhibition? It is a striking piece. Peering Sideways runs until 10 December 2011.